Is BOMA 360 Designation in Your 2019 Plans? As a BOMA 360 Ambassador and sponsor, A1 Orange agrees to serve as a resource on BOMA 360 to both current and prospective designees – promoting the program to our business partners and the industry. You are probably aware that BOMA 360 is a commercial real estate designation developed by the Building Owners and Managers Association (BOMA) International and recognizes all-around excellence in building operations and management. The program benchmarks building performance in six key areas: operations and management; security and safety; training and education; energy; environment and sustainability; and tenant relations. Since the program’s inception in 2009, nearly 1,900 BOMA 360 designations have been awarded. Currently there are 40 BOMA 360 certified buildings in Florida — and 27 of them are in A1 Orange’s business territory, from Tampa Bay, Orlando to Northeast Florida and in-between. As a BOMA 360 Ambassador, we are committed to promoting this program and providing services and programs to help more buildings earn this designation. 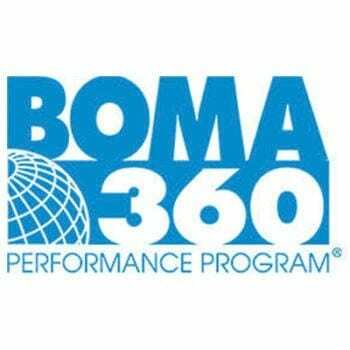 Full details on the BOMA 360 Performance Program can be found online here. Q1: Why did you decide to enter the 2018 TOBY Awards? How long did it take to get your property “TOBY-ready”? We decided to enter CNL II, SunTrust and TownPark 500 into the TOBY Awards as we had won the previous year with CNL I and SunTrust Center and enjoyed the experience and competition very much. We feel that it is important to showcase the properties in Orlando and is a great opportunity to give credit to all our vendor partners that assist us in keeping our buildings well maintained and functioning operationally at their optimum level. Fortunately, our buildings are Class A and are maintained as such at all times but collectively, our team and vendor partners went through extra preparation with paint touch-up, detail cleaning, lighting audits, etc. We were able to get the building “show ready” in just a few weeks. Q2: What does winning a TOBY Award mean to you and your team? Winning the TOBY means a great deal to the Piedmont Team. Our engineers work hard and our vendors are delighted to be part of our winning team. We are proud of CNL II, SunTrust Center and TownPark 500 and it is an honor to have them celebrated by our industry colleagues. Q3: Preparing for TOBY judging takes extra time – what did you get back for the extra effort? Taking a close look at all areas of the property and its management with “fresh eyes” as the TOBY judges would, is always beneficial. TOBY preparation is a great learning tool for the entire team and gives us an opportunity to review and update documents, plans and procedures and ensure that the building is show-ready. The preparation gave us the assurance that the building was “show-ready” for any potential prospective Tenant or VIP tours (which can take place at any time). The review of our files/records allowed us an opportunity to make sure that all inspections, etc., were documented and up-to-date for code and audit purposes. Q4: Based on your experiences, would you recommend that other property managers and engineers make the time investment to participate in their local TOBY Awards? If so, why? We would definitely recommend other property management teams consider entering the TOBY Awards, it is a great team building exercise that benefits all participants. It is exciting to win but the process of entering and representing the building at the awards gala has its own reward even when another takes the trophy. Q5: How are you preparing for the Savannah BOMA Southern Region TOBY Awards Competition in March? We are currently gathering all our photographs and documents for our TOBY Regional submission and participating in BOMA Southern Region TOBY conference calls and meetings. We will also ask for former winners of the award to review our draft submission prior to final entry. Good luck to the Piedmont teams as they advance to the TOBY regional competitions! Florida’s harsh combination of sunshine and rain present a real challenge to keeping building envelopes waterproof. Given the amount of rain we get per year – and the prospect of getting several inches over a very short period, it makes sense for property managers and engineers to take a proactive approach to waterproofing prevents significant water issues at their properties. While expansion joints usually last 5-20 years and window seals have life expectancies of 10-20 years, it may vary depending on the materials, sun exposure, etc. So even in newer buildings or those with recently replaced caulking, you must always be vigilant re: avoiding water intrusion. 1. Keep an eye out for signs of water intrusion or building envelope failures. During regular exterior building maintenance service visits, ask your vendor to check for any of these signs. 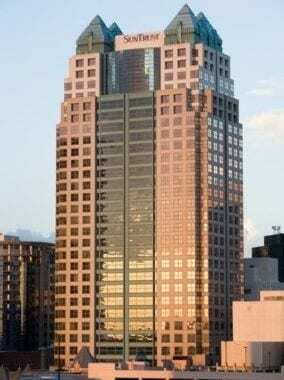 Be sure to mark the area, take a photo and note where it is, especially if you have a large building. 2. Use your professional waterproofing contractor as part of your proactive defense. Get them to investigate specific problem areas you have identified. Often water travels, and the source of the water may or may not be obvious. Follow-up on signs of joint wear/system failure on your building’s envelope, even if you are unsure of whether you have problems yet or not. Get a professional waterproofing inspection, if there seem to be numerous problems or leaks that are difficult to resolve. 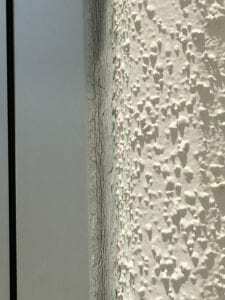 An A1 Orange Waterproofing Inspection is a close-up look at all expansion joints, window seals and porous wall barriers, documented with photographs. If you schedule your waterproofing work with us soon after this detailed inspection, the cost is applied towards your job. Get a ground level inspection of your building every three to five years to identify and investigate any leaks and determine what is needed to keep your building dry. 3. Fix the problems right away! While a leak repair or waterproofing one or more joints may cost more than a typical maintenance project, water damage is even more costly and disruptive to tenants — more so if they have to be relocated. Water seepage which can lead to a buildup of mold, which can turn into hazardous black mold. Unseen moisture that can damage drywall, carpeting, office furniture and technology. Musty or mildew-y smells throughout the space, which may cause tenants to leave at the end of their lease. Overall, watching for signs of water intrusion, calling for expert support, and making necessary repairs/waterproofing when they first occur are smart, proactive measures that will save you money and headaches. Nearly all manufacturers of sealants and caulking require a field inspection to be done in order to honor their warranty. The waterproofing agents must be applied according to manufacturer guidelines in order to pass the manufacturer’s field inspection. Be sure to ask for the proof of product warranty from your contractor when the job is complete. Product warranties also may require that an entire plane or joint system be sealed in order to warranty the work. Your labor warranty is provided by the contractor performing the work. It must be specified separately from the product warranty on your final invoice. How long has your contractor been in business? With A1 Orange, professional waterproofing technicians apply the best sealing/caulking products for your application and back it up with 94 years of experience in exterior building maintenance. 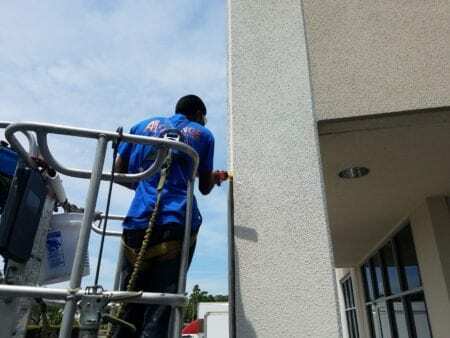 Learn more about our caulking, coatings and epoxy injections for all areas of your property – buildings, decks, balconies and parking structures.